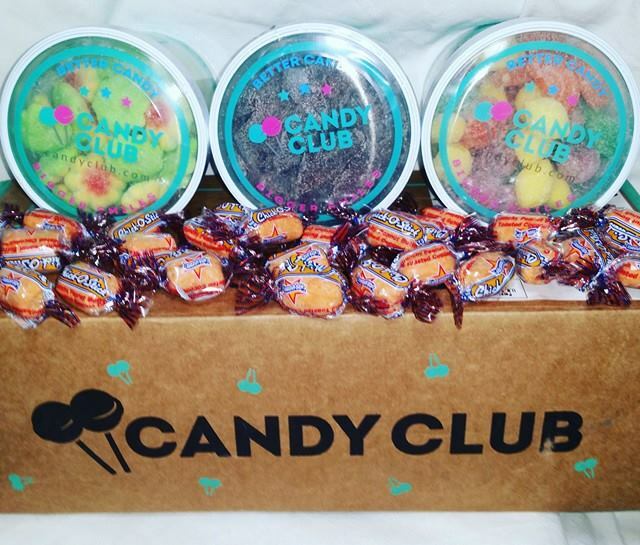 We were beyond thrilled to have the pleasure of working with Candy Club this year and adding them to our Holiday Gift Guide. Who doesn't wanna get something sweet in the mail? 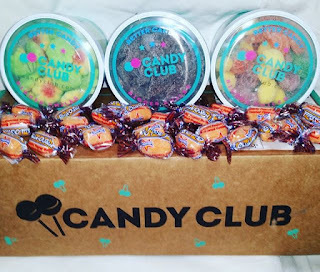 Candy Club offers membership levels(plus shipping) : 1 month($27.99), 6 months($22.99 per month), 12 months($19.99 per month). When you receive the package in the mail there is no doubt what it is! CANDY!! When we placed our order we picked the CLUB MIX. This was a mix of both sweet and sour....yummy, the best of both worlds. This is a great way to give a gift that keeps on giving. 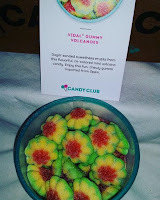 The candies also come in reusable containers that can be used over and over. Vidal Gummy Volcanoes - Sugar sanded sweetness erupts from this flavorful, tri-colored mini volcano candy. Enjoy this fun, chewy gummi imported from Spain. 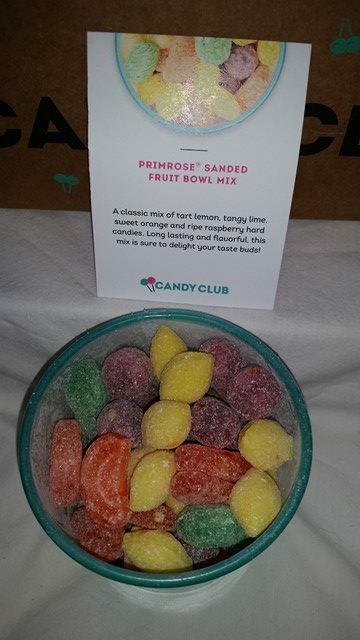 Primrose Sanded Fruit Bowl Mix - A classic mix of tart lemon, tangy lime, sweet orange and ripe raspberry hard candies. Long lasting and flavorful, this mix is sure to delight your taste buds! 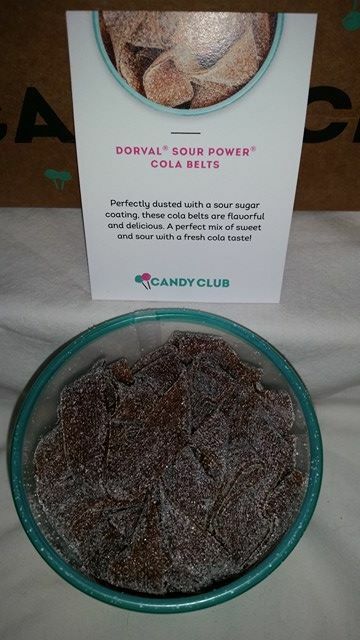 Dorval Sour Power Cola Belts - Perfectly dusted with sour sugar coating, these cola belts are flavorful and delicious. 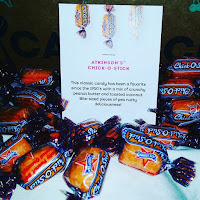 A perfect mix of sweet and sour with a fresh cola taste! 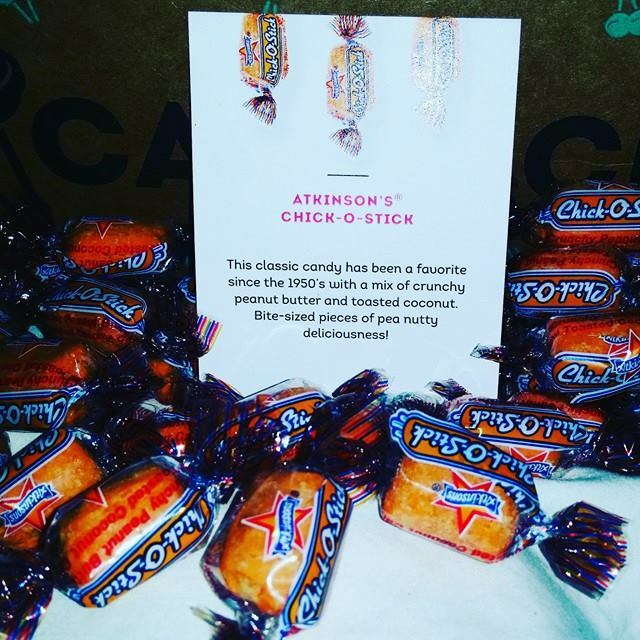 Atkinson's Chick-O-Stick - This classic candy has been a favorite since the 1950's with a mix of crunchy peanut butter and toasted coconut. Bite-sized pieces of pea nutty deliciousness!